Gmail doesn’t offer a way to search and sort email messages by size but you can use a tool like Microsoft Outlook or Thunderbird to sort your mails by the size criteria on the desktop. 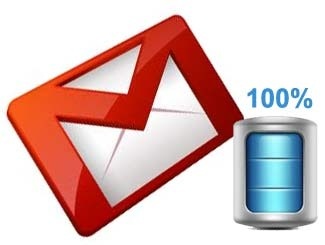 They connect to your Gmail account via IMAP and therefore when you delete an emails with big attachments locally, the same happens in your online inbox as well. To get started, you simply connect your Gmail account with Find Big Mail using Google’s OAuth. It then scans all your messages for their sizes and send you an email notification once the scan is over. Using the service is pretty easy. Right on the front screen of the site is a place for you to enter your email address and press the “Click Here” button. 2. Enter your Gmail address and click “CLICK HERE”. 3. It will then ask you for permission to access your account. Click “Grant”. 4. 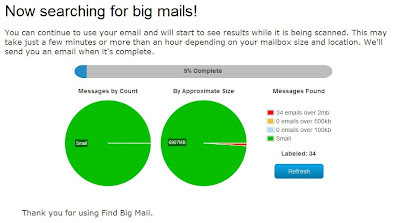 Find Big Mail will then proceed to scan your Gmail Inbox and check the emails with big attachment. This will take from several minutes to an hour, depending on your mailbox size. Meanwhile, you can go and take a cup of coffee. 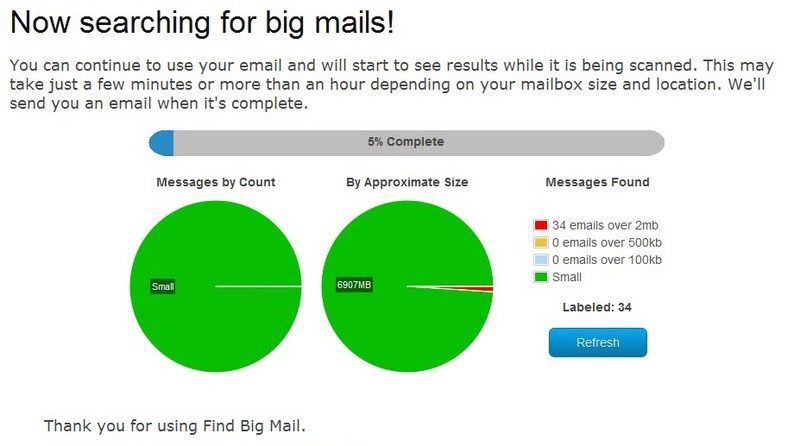 When Find Big Mail finished scanning, it will send you a summary email. 5. Now you can use labels to sort out mails based on mail size. Now that they are sorted out, all that you need to do is to delete away those unwanted big size emails to free up the storage space. (You may want to backup your emails before you delete them away). What’s your take on this? Do you find such a simple app useful?